Batemans Bay will hold it’s first Seaside Scavenge on July 7. Photo: Seaside Scavenge Facebook. The Eurobodalla’s ‘war on waste’ just took a twist; Batemans Bay will host it’s first Seaside Scavenge on Saturday, July 7. 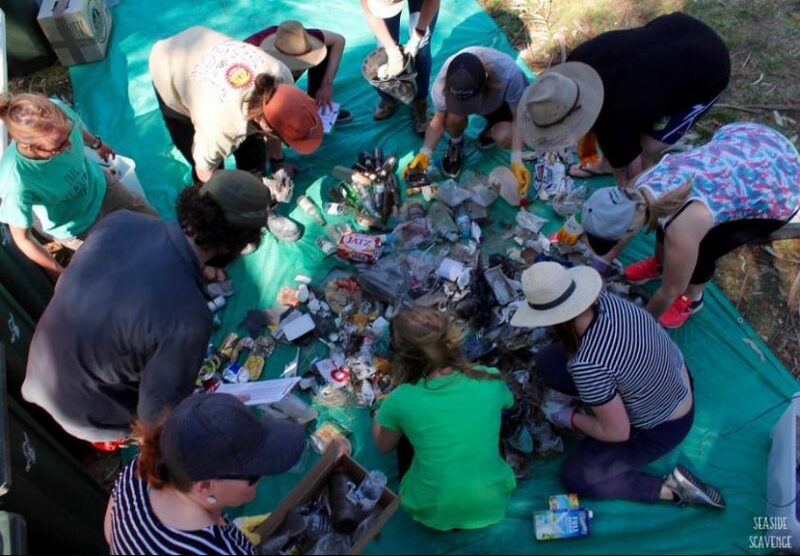 This day of trash, tunes, and treasure started in Coogee in March 2015 and has been taken up by communities around Australia, it first hit South East NSW last year at Lake Jindabyne. 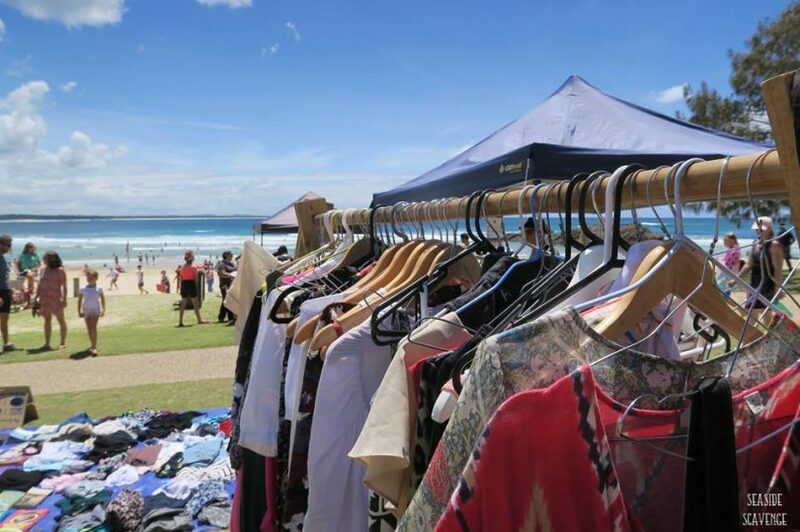 Seaside Scavenge is a waterway clean-up and clothes swap event where litter collected becomes currency to purchase quality pre-loved clothes, books and bric-a-brac donated by the local community. For every 10 pieces of litter collected participants are rewarded with a token to use in the pop-up riverside market. “The scavenge is about having fun while doing something good for the ocean and our planet,” says Bernadette Davis, Environment Education Officer with Eurobodalla Shire Council. 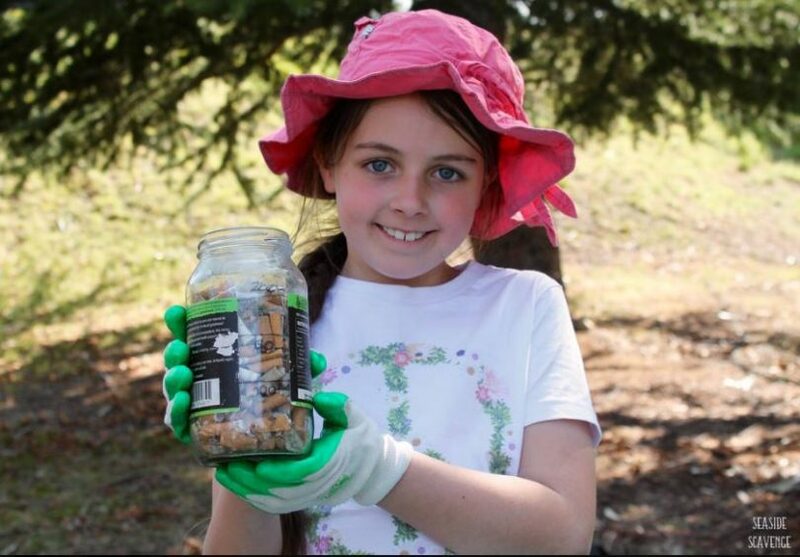 At the Lake Jindabyne event last September, over 750 kg of litter was collected in just three hours, by 120 kids and grown-ups, the majority of items collected were beer bottles and cans. The Jindabyne community will rally again for a Lakeside Scavenge on September 22. On July 7 at Batemans Bay litter pickers will help sort and catalogue data for the Australian Marine Debris Database working alongside the Eurobodalla Marine Debris Working Group and youth environmental group – Eurobodalla Young Legends. “Come along and be a part of the solution to the impact of litter, especially plastics, on our marine environments,” Ms Davis says. “You can also find out which local cafes and restaurants have taken the Seaside Scavenge pledge to remove plastic straws from their businesses. Some of the results of Jindabyne’s Lakeside Scavenge in 2017. Photo: Supplied. Providing the tunes on July 7 will be musicians Josh Rawiri, Chloe Dadd, and Jake and Jaden. Council’s environment team, Boomerang Bags and Nature Coast Marine Group will also be on hand to discuss local issues and solutions. Local businesses including Go Vita, Nourish on North, Region X, and Bayside Therapies have donated prizes for those who collect the most litter, the most cigarette butts and the weirdest item, to name a few of the prizes. Registration for the Batemans Bay Seaside Scavenge will begin from 10:00 am on the Clyde Street foreshore opposite Bridge Plaza, Batemans Bay on Saturday, July 7. Such a sweet smile for such dirty work – Lake Jindabyne 2017. Photo: Supplied.